Check out these free things to do in Memphis! With so many free things to do in Memphis, you don’t need to be a millionaire to enjoy this fantastic city! So if you’re learning to fly with us at our Tennessee flight school and looking for the best way to spend a day without spending money, this list is a great place to start! Grab a blanket and cooler and head on over to the Levitt Shell in Overton Park. With free concerts throughout the summer, you’ll get to relax under the stars and enjoy some of the finest music courtesy of musicians from the city and beyond. With an outstanding collection of work by Impressionist masters Degas, Pissarro and Monet, the Dixon Gallery attracts culture vultures all year round. Better still, entry between 10 am and noon on Saturdays is free! Don’t forget to take a turn around the beautiful gardens too while you visit. On the last Friday of every month, the South Main Trolley Line is yours to ride for free between 6 pm and 9 pm! On the way, you’ll hear fantastic music, see some incredible sights and can even enjoy special offers in the bars and restaurants along the route. Mud Island River Park is a must-visit for the River Walk – a unique representation of the Mighty Mississippi in miniature and one of our favorite free things to do in Memphis! Follow this scale version from its source in Minnesota to its mouth in Louisiana, and learn fascinating facts along the way. 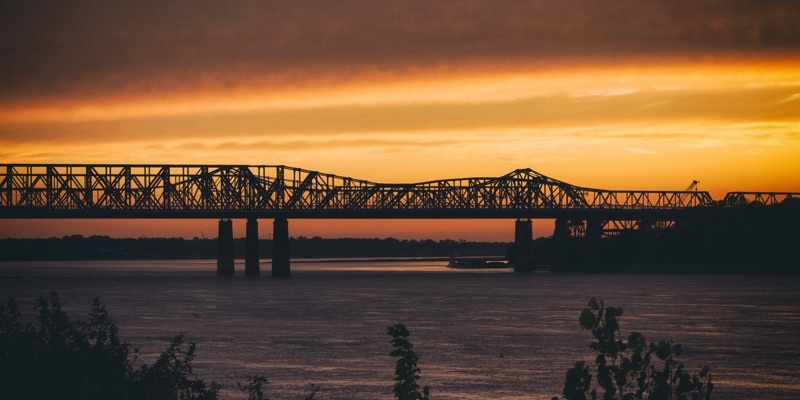 If you’d rather cross the Mississippi itself, take the Big River Crossing – the longest pedestrian crossing over the river at nearly a mile long! You can walk or cycle the bridge between Tennessee and Arkansas, marveling at the mighty river below your feet. If you’re passing the Peabody Hotel close to 11 am or 5 pm each day, be sure to stop by and see the Peabody Ducks on their daily march to and from the fountain in the main lobby. You’ll see the Duckmaster leading them on their way too – a spectacle dating back over 90 years! There are eight I Love Memphis murals in total spread throughout the city, a project which teamed up the Urban Art Commission, the Memphis CVB, and the I Love Memphis Blog. See how many you can find – photographic evidence is a must! Although entry to Graceland ordinarily comes at a cost, did you know you can visit Elvis Presley’s Meditation Garden for free between 7:30-8: 30 am every morning? Savor the calm of this peaceful spot, the final resting place of Elvis and his family members. You don’t need to spend money to enjoy the atmosphere of one of the world’s most famous streets! With music spilling out through every door, street artists (including the Beale Street Flyers), and crowds of fellow music lovers all around, join the buzz as you head down this historic home of blues music. For an escape from city life without leaving the city, Shelby Farms Park offers 4,500 acres of green space and 10.65 miles of urban trail for you to enjoy and is last on our list of free things to do in Memphis. Take a hike, ride your bike – you can even bring your boat and go fishing! Whatever your idea of relaxation, you can do it here for free.